Toyota Corolla has been a best seller across global car markets for decades. 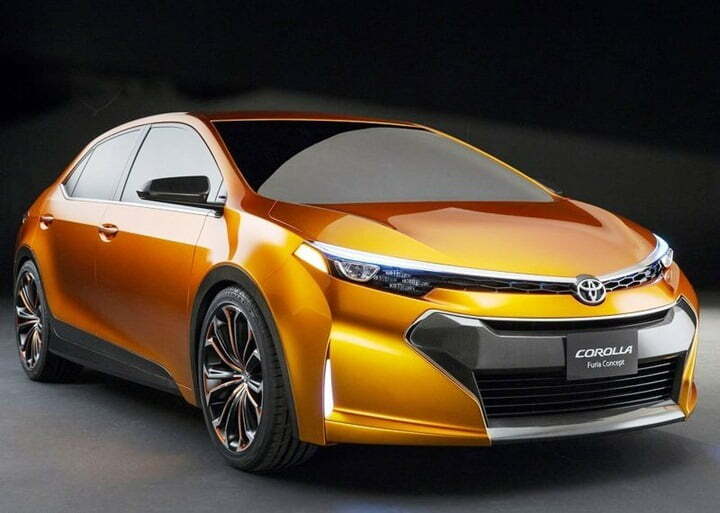 Now, in this high time of competition Toyota does not want to lose the grip from the market and has unveiled an amazing new version of Corolla. 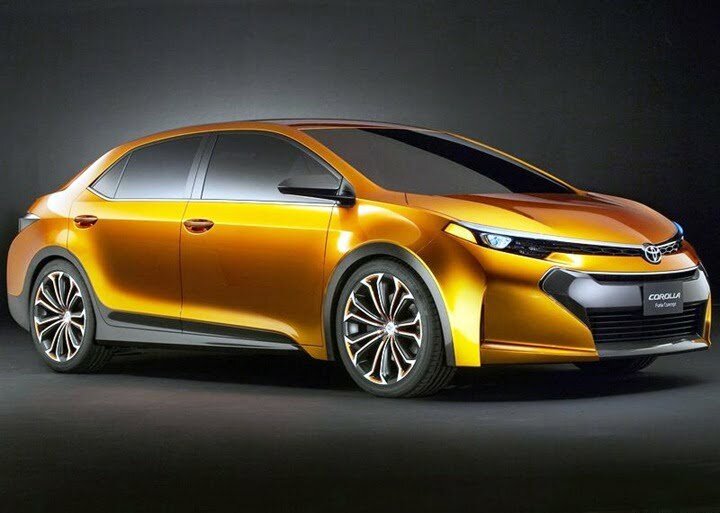 They have named it Toyota Corolla Furia and unveiled it at the Detroit Motor show. 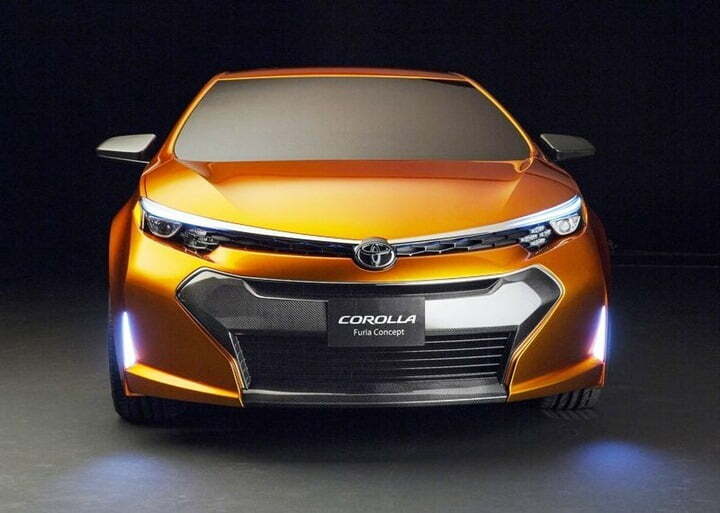 It won’t be astonishing if Corolla Furia becomes the best seller after its launch. It is like a breath of fresh air in today’s monotonous styling of saloon cars. Toyota has designed the car very proportionally. The dimensions are-height 1425mm,length 4620mm and a width of 1805mm. The 19 inch alloy wheels are set on the outer edge of the vehicle that prominently beautifies the wheel base and makes the appearance even longer. The sloped roofline with a plate of metal on the brim of the bonnet adds the wow factor in the looks which is adjoined with the curved grille. The design elements of the concept car are very radical and does use sharp lines and edges all across. Overall, seems quite aerodynamically tuned and racing inspired in styling. It is designed to give a modern and futuristic outlook with large dimensions to command attention and offer lots of interior space at the same time. The front and rear designer LED lamps are new looking from what is available nowadays.The concaved windshield gives it a modern look. 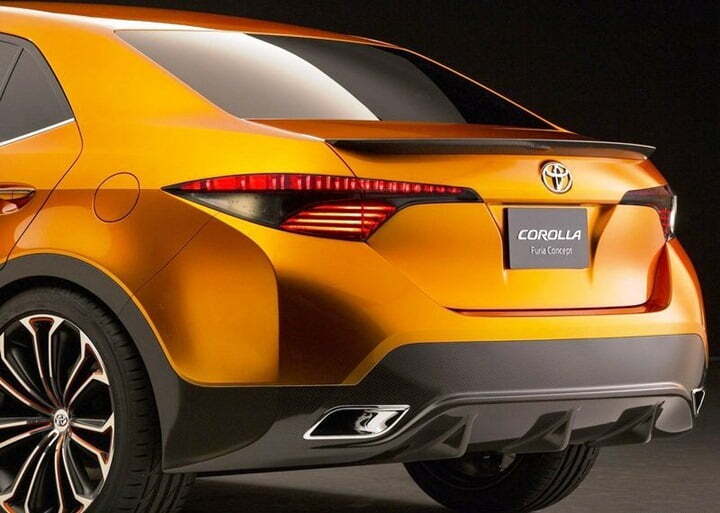 Corolla Furia is very aggressive looking new generation car. The pattern of the car especially the height helps the driver in having a clear road view. 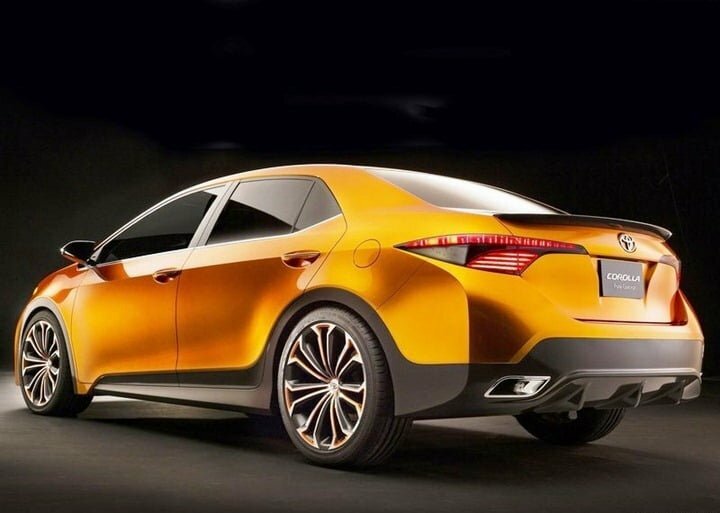 Overall Toyota Corolla Furia would attract more of the young generation people. Not just this but it also portrays a great example, that where the compact cars designing could reach in the future. 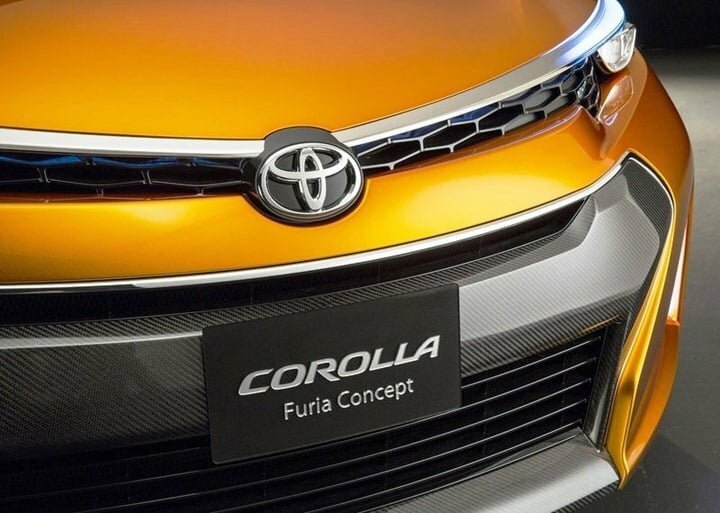 The metallic mustard toned Furia was presented during the show, which bridges the hopes that Toyota could present new colors for the roads. 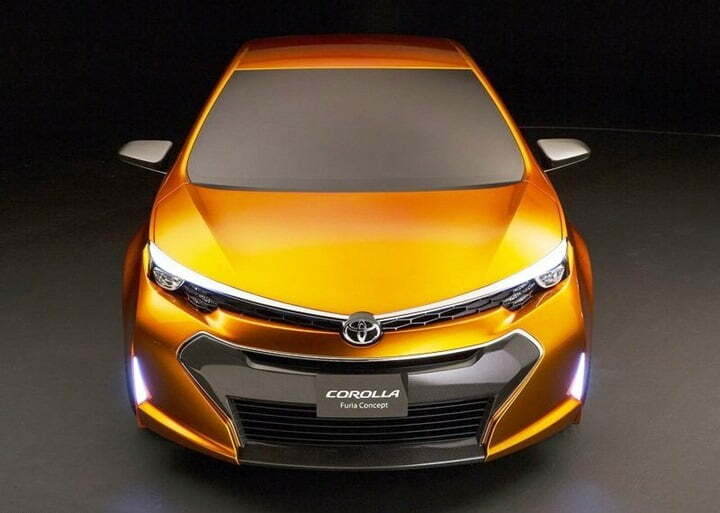 The Japanese automaker is sure that their new corolla will amaze all buyers.